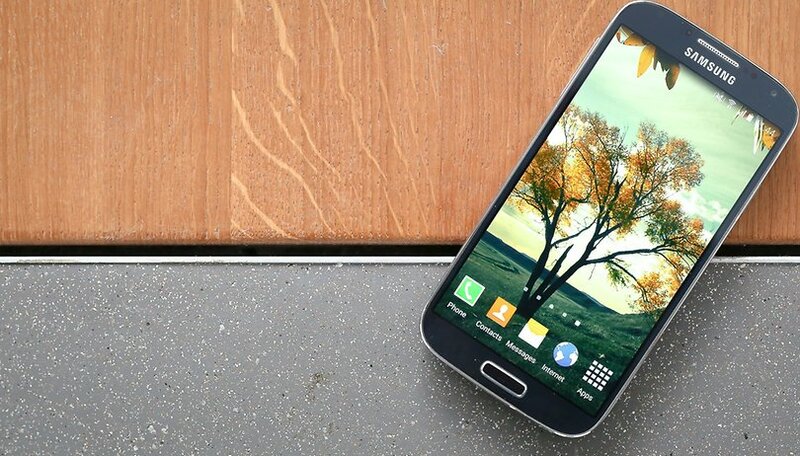 We’re big fans of the Samsung Galaxy S4 here at AndroidPIT. In fact, we think it’s so good that if you’ve got one, you should probably hold on to it. Sure, there are newer, prettier, faster phones out there. But as the saying goes, if it ain’t broke, why fix it? Here are four very good reasons not to upgrade your Samsung Galaxy S4. Most of us buy our smartphones in one of two ways: we sign up for a subsidized contract and pay off the phone over a year, 18 months or two years, or we buy it outright with a credit card and spend the next year, 18 months or two years paying off the credit card bill. If you went the contract route, then your Galaxy S4 should be completely paid for by now. That means you can join the happy world of SIM-only cellphone contracts, which are like normal cellphone contracts but much, much cheaper. There's been two more models in the Galaxy S range since the S4 came out, but its specs are still pretty respectable. It features a quad-core Snapdragon 600 running at 1.9 GHz, a 13 MP main camera with LED flash and a 5-inch AMOLED display that delivers 1,920 x 1,080 pixels at a perfectly decent 441 ppi (still 40 ppi more than the new iPhone 6S delivers). We admit that the internal storage isn’t great, but you can expand that with microSD cards, which are cheaper than really cheap things. Those specs might not be cutting edge, but they’re still pretty damn good for a phone that’s two years old, and the S4 should easily be able to do everything you want a phone to do. Rumors suggest that the S4 won’t be invited to the Android Marshmallow party, and while they’re only rumors, they do sound quite likely to us. Manufacturers tend to have fairly short memories when it comes to making Android versions available for existing handsets. The rumors could be wrong of course, but even if they aren't, Android Lollipop is perfectly fine. Is Android Marshmallow better? Yes! Is it worth dropping hundreds of dollors on a brand new handset for? Probably not. According to Greenpeace, the environmental impact of a mobile phone is so bad you might as well be driving to the Arctic in a Humvee for a week of kicking polar bears in the face. Making any mobile phone can generate the equivalent of at least 16 kg of CO2, and then there are all those extra chargers, fancy boxes, rubbish headphones and manuals that nobody looks at. Rather than chucking your Galaxy S4 away in the name of fashion (like those Apple fanboys and girls do) you could do your bit for the environment by continuing to use it. Imagine a polar bear, and imagine buying a Galaxy S6. Now look at the polar bear – he’s crying! You monster! So there you have it. Keeping your S4 as a daily driver is better for your wallet, will stop polar bears making sad faces, and it's perfectly capable of doing everything you want it to do. What else could you want? What do you think? Are you still using the S4, or have you succumbed to the lures of a slightly bigger, newer device? Let us know in the comments below! I just purchased my second Galaxy S4 Active, in new condition, for $150. My old S4 Active is finally dying after 3 years, but it had a good run. I needed to update the OS to lollipop so it would continue to support games and apps I use everyday, works great. No way am I going to shell out $600-$700 for a new one now, especially since they don't even come with removable batteries! Are you kidding me? S4 is the best value and bang for the buck. Buy 2, and use 3rd party marshmallow updates when it becomes necessary. Whatever it takes to keep this phone relevant just a little longer. So... I installed the new update, and now when I tap phone as if making a call, it says this application in not installed. This means my phone doesn't have a phone on it. Can anyone help me put with this? Agreed, but there are a few items to note. Some have experienced burn in due to the AMOLED. This is caused by constant use of a single app. Not sure you will avoid this with newer Samsung phones anyway. imagine your kid on instagram.. nuff said. I'm running the latest AT&T lollipop rom. I have a few games but continue to get the "out of memory error" when updating apps via google play. I've cleaned cache and moved items to the SD Card to no avail. I think the app upgrades are larger and the old 16gb internal memory is filling faster. AT&T should unlock the bootloader now that the phone is obsolete in their eyes so custom roms can be used like Cyanogin. Batteries are cheaper now and the screens are still brilliant and 1080p. This phone set the bar when it came out. Swappa dot com lists used ones for a little over $100. I recommend you root the phone, and find some way to turn off your 4g LTE radio when you are not using it. this will add 10+ hours to the life of your battery a day if you can easily have your 4G radio turn off when your screen is off. Have a new samsung galaxy tab s2 was working great until i went to 5.0.2 now gmail is slow, going on various web browser sites you wait and wait for the screen to go from white to showing data terrible, what a waste of my money buying a new tablet, my old samsung note 8 works fine that is now not supported by samsung. It mean that I shouldn't upgrade my phone. No question for its time it was / is a great phone. 16 gb of internal storage is ridiculous. Even though you can move some apps and most data to the sd card. Samsung so loaded this phone up with bloatware and crapware it not only takes up space it slows the phone down. That being said it's not a bad phone. The GS5 and GS6 are better but not crazy better. I actually tried to find the 32gb model of the GS4 or months in vain. If I would have been able to get the 32gb model I would probably using it. I finally opted for the HTC One M9. The reason was the size was close to the GS4 and It has expandable storage capabilities. The no expandable storage on GS6 was a deal breaker for me. I have resigned myself to the realization that replaceable batteries are a thing of the past and I am adjusting. The replaceable battery option was great. It's also a thing of the past. The One M9 is a good phone. Is it a major improvement over the GS4? Not really. The One M9 is better build than Samsung but not significantly better than the GS4. The killer on the GS4 is the 16gb advertised internal storage. I'm thinking that Samsung is happy that the GS4 has small internal storage so they can sell more of the newer models. The fact is that since the GS4 and the iPhone 6 any of the newer phones are going to be incremental improvements. Right now the biggest problem is the fragmentation of the Android OS. The premise of your article is valid for a normal S4. However, if one is stuck with that abomination known as an S-4 ACTIVE, I plan on getting rid of it as soon as the Blackberry phone hits the market, the environment be damned. That AT&T sold the ACTIVE with no intention of offering upgrades beyond 4.4.2, which killed the expansion slot to name one of their mortal sins, is one reason why I'm going to dump this piece of s**t as soon as possible. You can'r root it to get rid of the bloatware or ads that never end. NO, there are NO good or even bad reasons to keep the S4 ACTIVE. It is an abomination from the first time you turn it on and will be disposed of ASAP. Does what I need to do. I will think again when I find something I need to do that the 4 will not do. I lucked out. When I walked into T Mobile 30 months ago. I knew little about cell phones, so I asked the clerk whats the best. Her answer was to show me the s4 and nexus 5. I purchased a SGHM919 from T mobile and paid it off. It has not a mare on it. One couldn't tell it from new. It works great and it does do everything I need. 2 weeks ago I got weak and ordered the Nexus 6p, but luckily for me I regained common sense and cancelled it 2 days later. I will keep this phone until it dies. Probably a good long time. I think I would have been happy with the nexus, but very happy I chose the s4. Is this device supports 4G/LTE..? Still happy with my S4. Not interested in losing my replaceable battery and SD card. I've got the S4 Active, and there's no way I would change it - good solid phone that takes the knocks. I am using an S4, which is running Cyanogenmod 12.1,Android 5.1.1, and runs sweet.. along with a 64GB card, which is half full.. Am waiting to see what happens re. Cyanogenmod 13..
What the heck are you keeping on your SD card?? ?